Il significato credo sia chiaro: abbiate una vostra personalità! E’ una frase che mi rimase molto impressa quando la lessi e che mi rappresenta molto oggi. Per me tutto questo era stimolante ed affascinante. E’ nata così la mia passione per lo stile maschile: la giacca, la cravatta, la camicia, le scarpe all’inglese… erano gli ingredienti per fare di un uomo, un vero signore. 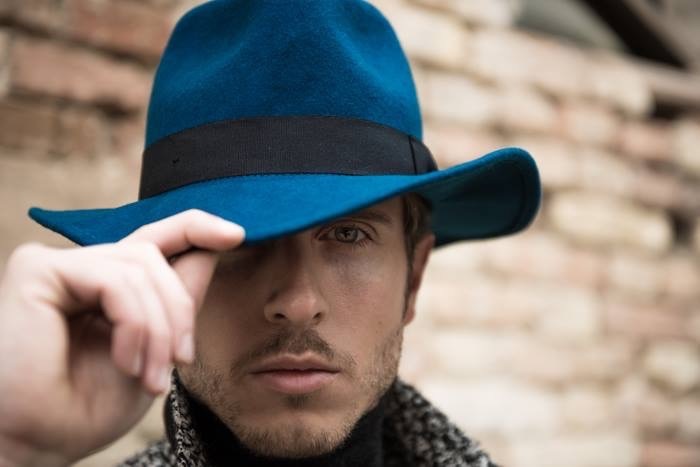 Passione che oggi vorrei trasmettere attraverso questo blog, dando un’interpretazione più attuale e moderna di quello che per me, resta lo stile piu’ affascinante di tutti: quello del gentleman. I think the meaning is clear: have your own personality! It’s a quote that made a great impact on me when I read it and that I feel now represents me. As a boy I observed my father with great curiosity: I watched him knot his tie between one sip of coffee and another, place his coat over his shoulders before leaving home, briefcase in hand and a newspaper tucked under his arm… For me this was stimulating and fascinating. This is how men’s style became a passion for me: jackets, ties, shirts, English-style shoes… these were the ingredients for making a man into a real gentleman. And through this blog I’d like to share this passion, by giving a more up-to-date and modern interpretation of what, for me, is still the most alluring style of all: that of the gentleman. One Response to "About me"